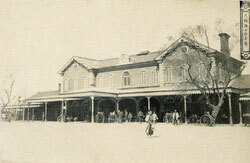 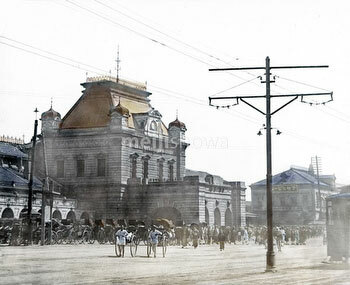 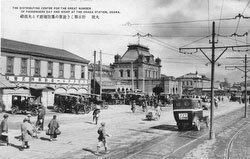 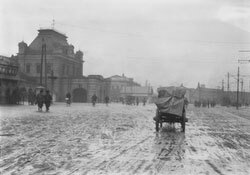 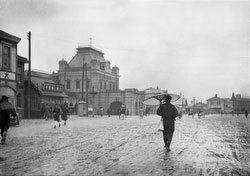 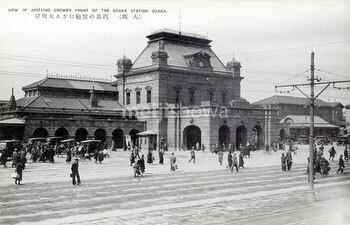 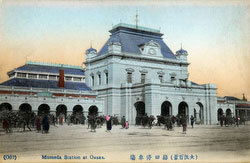 On July 1901 (Meiji 34), the second Osaka Station Building was opened in Umeda. The Gothic style building was two stories high and built of granite, giving it a massive and imposing look. 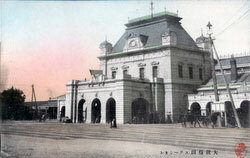 It became one of the city’s three must-see tourist attractions. 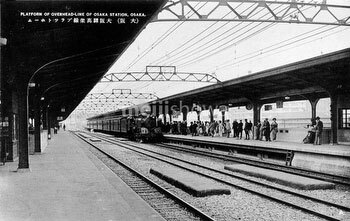 The first Osaka Station Building was opened on May 11 1874 (Meiji 7). It was a small wooden structure. 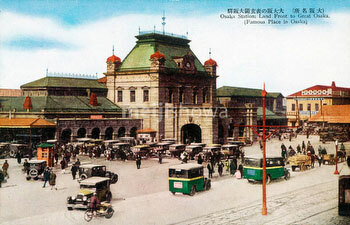 The second building was replaced on June 1, 1940 (Showa 15), when a new building was opened.